The restaurants in Jackson, MS seriously impressed me. I already knew I loved Southern food and I assumed with Jackson being located not far from the Gulf there would be good seafood. But it was the combination of the two that I loved so much- combining seafood with grits or homemade biscuits or other Southern fare. The only other place I’ve had anything similar was during my time at the World Food Championships in Orange Beach, Alabama. But these Jackson restaurants aren’t just doing seafood and Southern comfort dishes- you can find everything from sushi to Indian food to world class burgers and even throw your vote in on the debate over who has the best coffee in town. Many of the best places to eat in Jackson are located in the trendy/artsy area of town known as Fondren. I would like to thank Find It In Fondren for providing us with a personal tour of the area. (And also for letting us drag him along to not one but TWO lunches!) Their site is a great local resource- be sure to check it out when you’re planning your own visit. Barrelhouse was one of our first stops and in Jackson and it set the bar high. 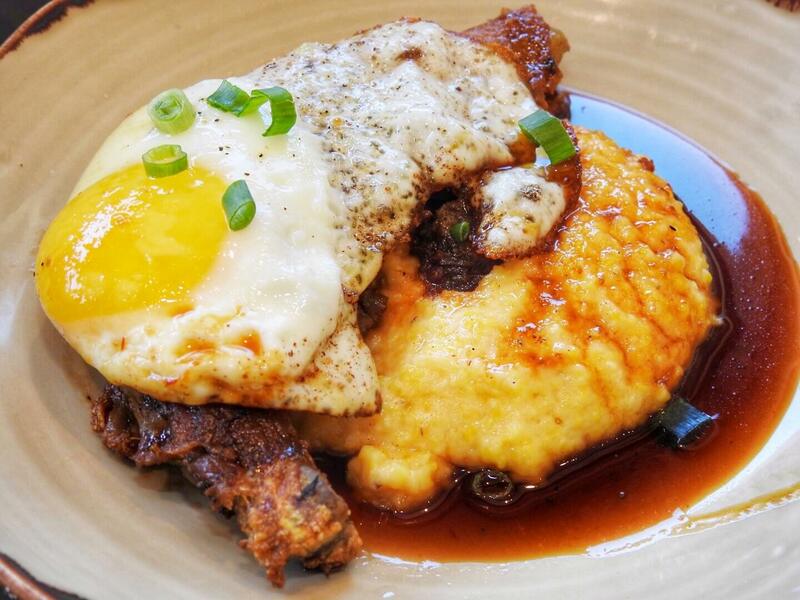 Barrelhouse is the modern Southern take on the classic gastropub. 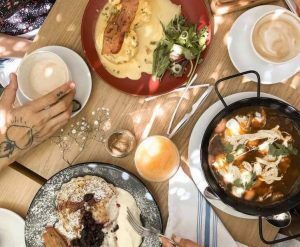 Here you’ll find dishes such as tuna poke nachos (order these, trust me), confit chicken wings that have been cooked in duck fat, sushi burritos, an entire meatball menu and even blue plate lunches. Next time I hope to make it back to try their dinner menu which features a smoked duck breast, a pork chop stuffed with andouille cornbread stuffing and shrimp and grits with pimento cheese. 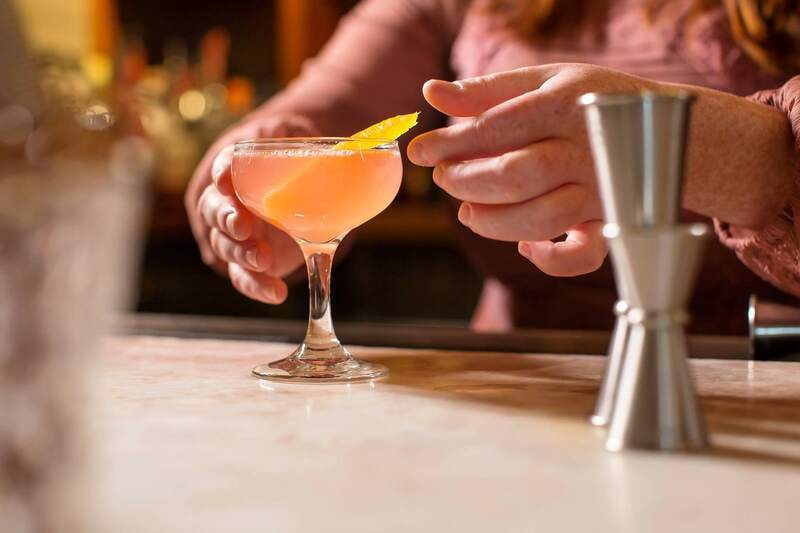 Of course, being a gastropub, you know you’ll be able to find your favorite drink- or even discover a new favorite. The Barrelhouse has an impressive collection of beers on draft and an even bigger menu of bottled beers. If you’re not in the mood for a beer you can choose a craft cocktail or pick a wine- which are sold by both the glass and bottle. Be sure to stop in Monday-Friday from 3-6 to try their Social Hour menu, featuring specials on both food and drinks. La Brioche is the perfect place to start your day with a cup of coffee to go alongside one of their huge homemade croissants, sweet treats, or a savory bacon cheese brioche, which is what I opted for. This Jackson restaurant is ran by two sisters originally from Argentina who started selling their baked goods at a farmers market. The response was so great that the duo now have multiple locations! Crazy Cat Eat up describes itself as “first and foremost, a good old southern restaurant”. After my recent visit, I have to say this description is spot on. The menu features dishes such as Delta style shrimp tamale fritters, cornmeal fried oysters, shrimp and grits casserole and a delicious tomato pie. But, the one dish I suggest the most, and maybe the single best bite of food I had during my time in Jackson, was the Bis-Cat. What is this, you ask? 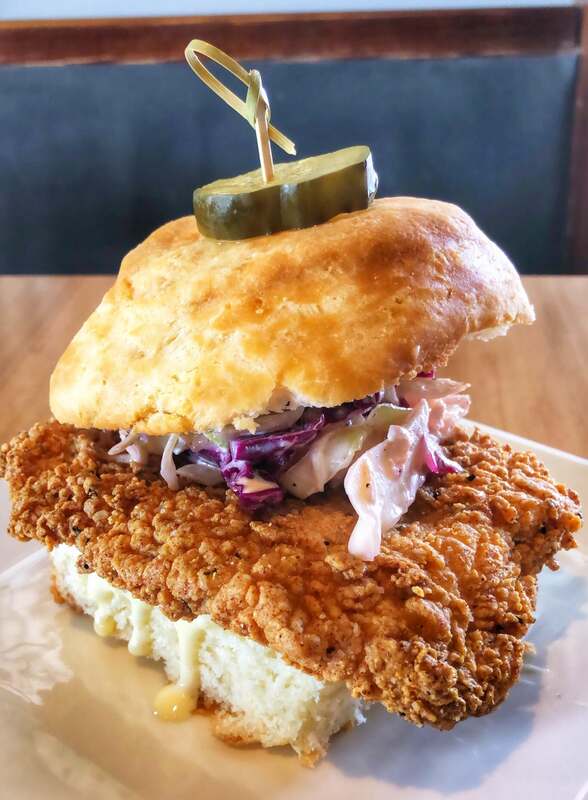 A huge homemade biscuit filled with a fried catfish filet and topped with their house slaw. Of all the Jackson restaurants we ate at (and there were many) this dish was stand out delicious. 1908 Provisions is not only one of the best restaurants in Jackson, MS it’s also housed inside one of the best hotels- the gorgeous and historic Fairview Inn. The restaurant menu is every bit as impressive as the hotel itself. 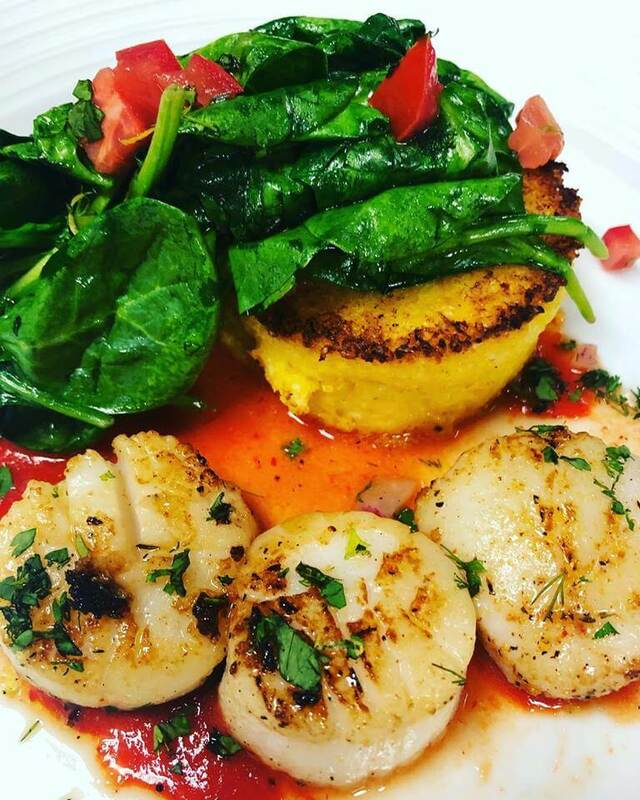 The farm to table restaurant offers menu items such as their signature sauteed redfish with grits and asparagus, Asian sliced duck, several cuts of premium steaks, and sea scallops served with a garlic grit cake and wilted spinach. Be sure to start your meal with some of their fresh oysters- we loved them served roasted with bacon and leeks! Please note: 1908 Provisions is only open for dinner and brunch and does not accept reservations on Saturdays for dinner. If there is a wait for a table you can grab a drink or even a small appetizer to hold you over in their gorgeous bar, the Library Lounge. As if it’s not impressive enough that this Italian eatery already makes their own pasta in house every day- they also cure their own charcuterie! 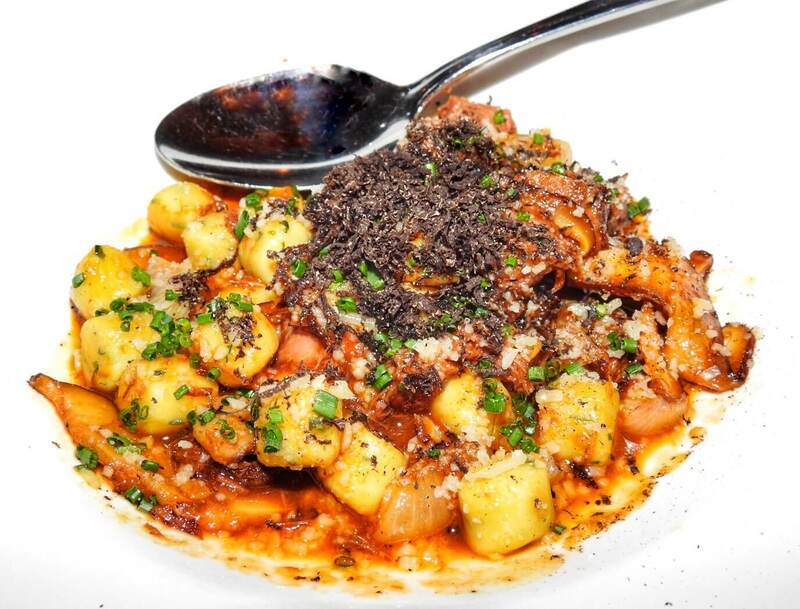 Their menu boasts everything from classics such as Bolognese and spaghetti with meatballs to original dishes such as their short rib gnocchi, three cheese lobster ravioli or grilled octopus puttanesca. Our favorite dish of the night was a duck confit with braised local greens and fried rosemary. Definitely order this if it’s on their rotating menu! However if you’re not in the mood for pasta (is that a thing that exists?) Parlor Market has a full menu of steaks, seafood and even a burger. If you’re really wanting to treat yourself, opt for the five course tasting dinner with optional wine pairings and let the chef dictate your meal. The Manship describes itself as “rustic European cuisine with deep Southern roots and I think their description nails it. We visited for brunch on our last day, after being told repeatedly by locals it was one of the best places to eat in Jackson. With all that hype there’s always the fear the actual meal wouldn’t live up to expectations but fortunately that wasn’t the case! For brunch you could choose from dishes with Mexican flair such as the breakfast tacos or huevos rancheros. Or, you could go for their sweets board, chicken and waffles, beef tenderloin with eggs or my favorite- the roasted duck leg with with smoked gouda grits. Next time I hope to make it back to try their dinner menu- there’s a cowboy ribeye that’s calling my name. The Manship also has a full bar that is also one of the most gorgeous in town. However, be aware that on Sundays you cannot buy alcohol before noon so if you like to enjoy a Bloody Mary or mimosa with your brunch maybe book your table for 12 or after. If someone were just passing through with only time enough for one meal and asked me where to eat in Jackson- it would be the Pig & Pint. This place wasn’t even on our itinerary but so many locals told us that it’s one of the best restaurants in Jackson so we knew we had to make time for it. The Pig & Pint is making high end, fusion BBQ dishes- many of which are throwbacks to your favorite childhood dishes, done in a very grown up way. Think pork belly corn dogs and fried bologna sandwiches and you’re on the right path, but I promise you you’ve never had them like this! 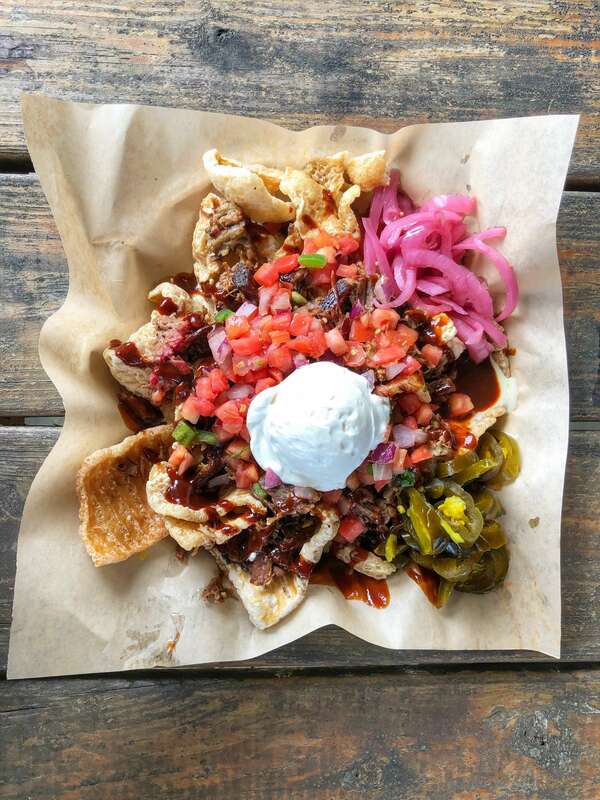 BBQ brisket pork rind nachos. I had never had nachos with anything but tortilla chips before but whoever came up with using pork rinds should probably get an Oscar or maybe even the Nobel Peace Prize. Trust me- order these and don’t try to tackle them alone. You’ll need a friend or two to help you get through these. Not only are they selling amazing BBQ, they also have an impressive craft beer selection with interesting selections like a stout made with Mexican hot chocolate. Walker’s feature upscale menu items served in a casual atmosphere. 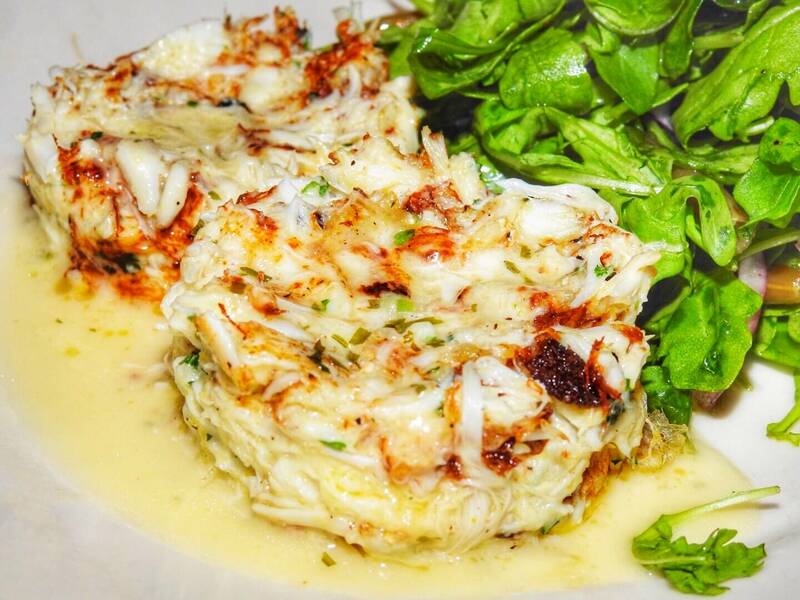 Their menu makes use of seasonal local ingredients, high end aged beef and sustainable seafood to bring you dishes such as pumpkin seed crusted grouper and crab, parmesan and artichoke crusted flounder. Their surf and turf is made of veal and lobster and the sweetbreads appetizer are plated with wild mushrooms and a creamy madeira wine sauce. If you’re in the mood for something lighter, check out their salad menu which contains a half dozen salads, all of which sound delicious! We stopped into Char for our second brunch of the day (no judgment!) while we were checking out Highland Village, a really great shopping center found in Jackson. Not only do they have lots of retail shops but the center also houses some of the best restaurants in Jackson! Definitely try Char’s no filler crab cakes, their award winning gumbo, or on Saturdays look for the pecan crusted chicken tenders. 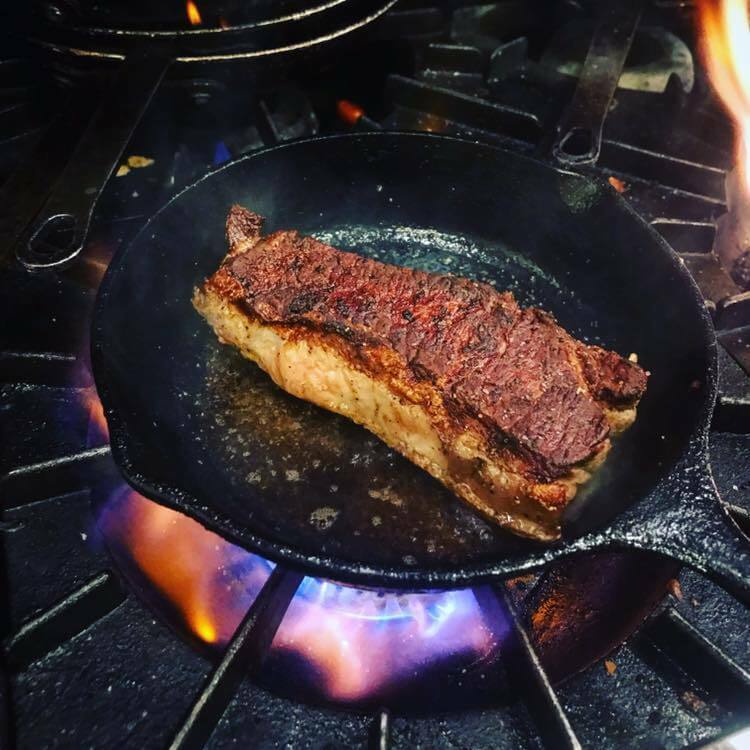 Since Char is a steakhouse, on my next visit I hope to try one of their steaks (the New York strip was the most tempting) or maybe one of their seafood dishes such as the grilled redfish or pan seared scallops. Whatever you do, be sure to save room for a piece of their award winning pecan caramel butter crunch served with French vanilla ice cream and a cinnamon-braised Granny Smith apple sauce. 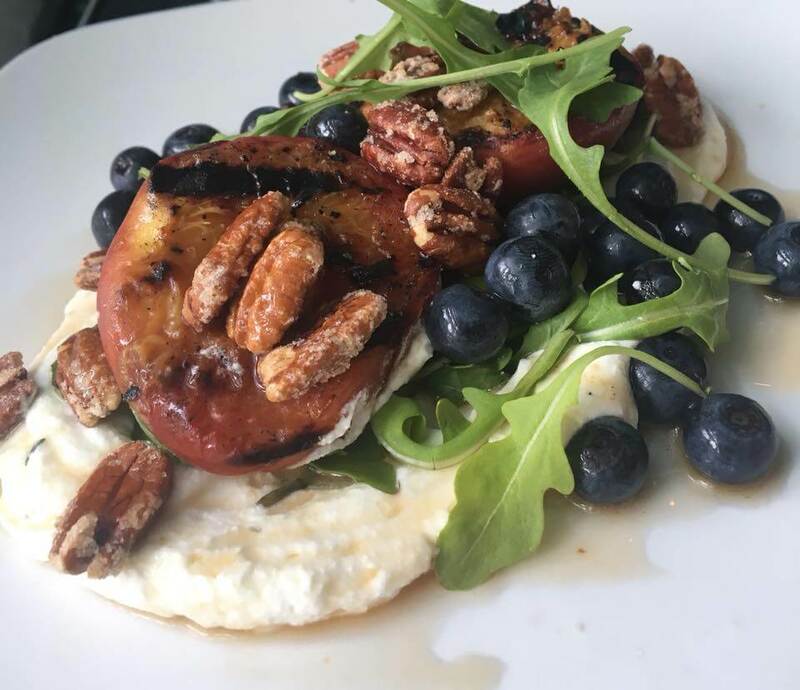 Estelle is a modern wine bar and bistro where you can find dishes such as smoked catfish deviled eggs, duck sausage, pizzas, a butcher stack burger and even a prime ribeye! As you would expect from a wine bar, Estelle offers an impressive menu of wine both by the glass and bottle. 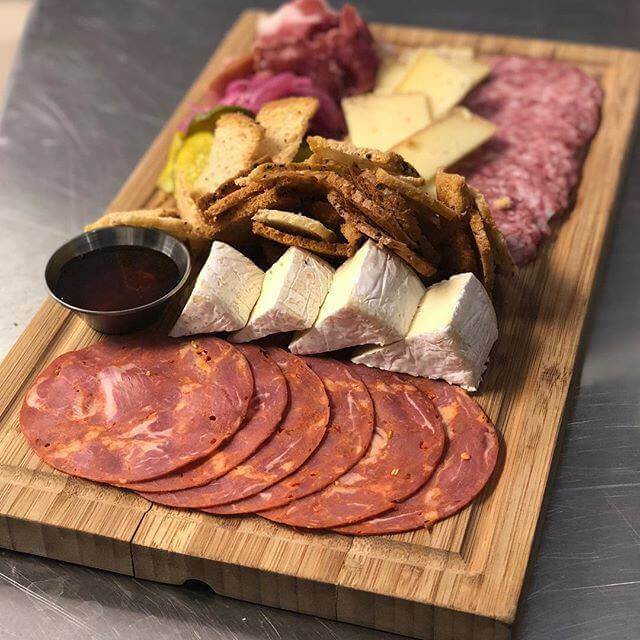 Estelle is the perfect place to meet friends, order a charcuterie board, and split a bottle of wine after work. 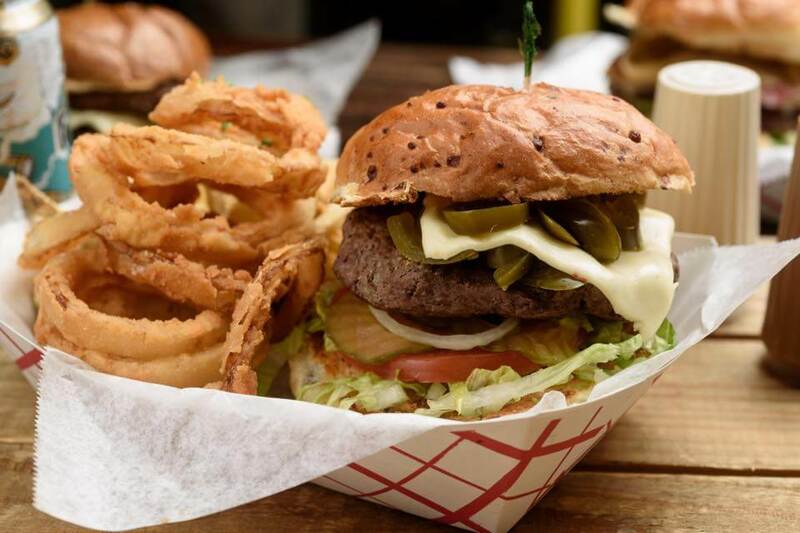 Many locals told us that Rooster’s has (arguably) the best burger in town. 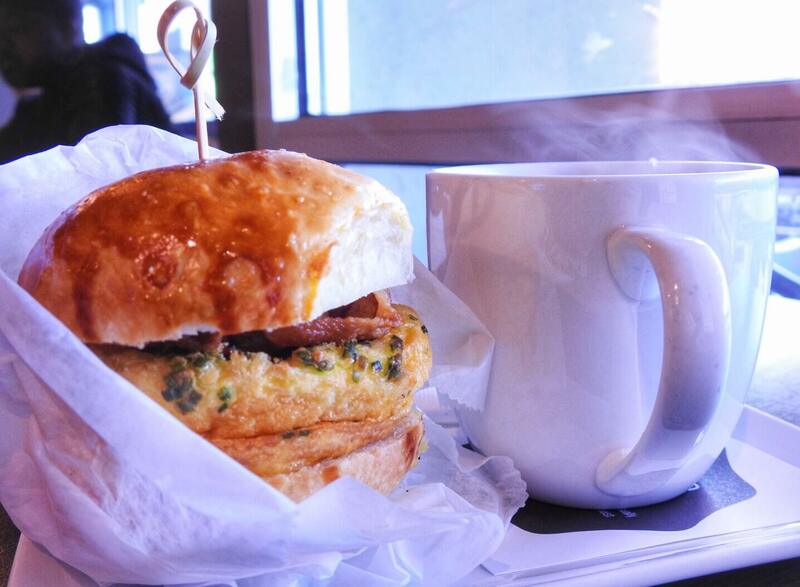 A Rooster’s burger starts with your choice of a white, wheat or jalapeno cheddar bun that is baked fresh daily. (I would go for the jalapeno cheddar if I were ordering!) Next you’ll choose from beef or chicken with toppings ranging from a classic bacon cheeseburger or chicken swiss to a nacho burger. If you’re not in the mood for a burger look for any dish that comes with their famous Creole tomato gravy, such as their smothered chicken and grits. Locals seem to agree that Sakura Bana is the go to Jackson restaurant for sushi. 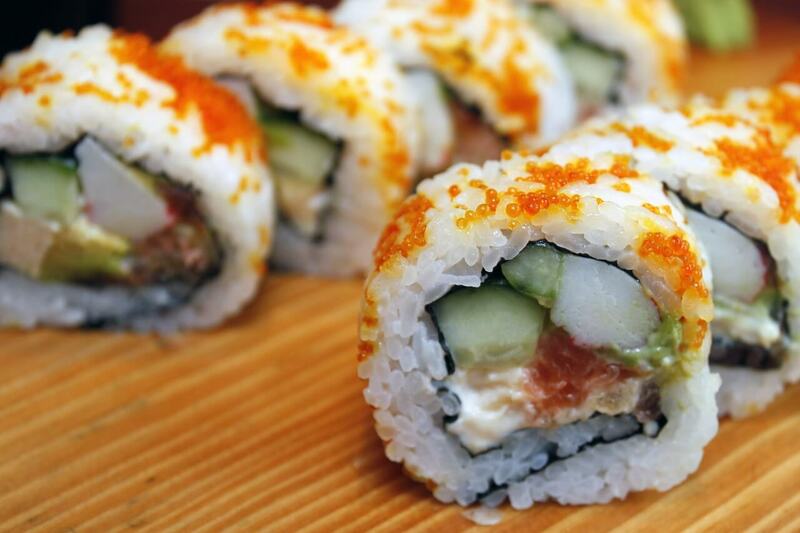 Sakura Bana offers both sushi rolls and sashimi along with other Asian favorites such as teriyaki and tempura dishes. Be sure to stop in for lunch to try one of their obento lunch boxes. You’re able to choose from your choice of combinations and each box comes with soup or salad and rice- all for about $9! In a town where it’s not difficult to find delicious soul food Bully’s has risen to the top as a favorite with locals, so it’s no surprise they’ve been in business for more than three decades. At Bully’s you can expect to find no frills classics done right, such as Southern fried catfish, smothered oxtails, barbecue ribs, and chitterlings. Look for their daily rotating specials featuring dishes like meatloaf and red beans and rice. Green Ghost prides themselves on serving up authentic Mexican fare made from recipes that have been passed down for generations. Many of their recipes feature their slow cooked sauces that they have become known for. Choose from one of their six torta (sandwich) selections including pastor and roasted pork. Or, go for your choice of tacos, burritos, fajitas, enchiladas or a taco salad. The carne asada fries topped with steak, queso and guacamole were recommended to us more than once. Be sure to save room for something off the dessert menu which includes classic Mexican favorites such as churros, tres leches cake and sopapillas. Crawfish fondue, crispy Gulf oysters, crab cake with chile butter, and salmon dip. Do I have your attention yet? And that’s just the appetizer menu! Lou’s Full-Serv may be famous for their steaks but the chef’s board, burgers, and desserts are getting rave reviews as well. When I get the chance to go in, I’m going straight for the slow cooked short rib “hasherole” with pan sauce or the skillet crisped cast iron chicken with root vegetables. 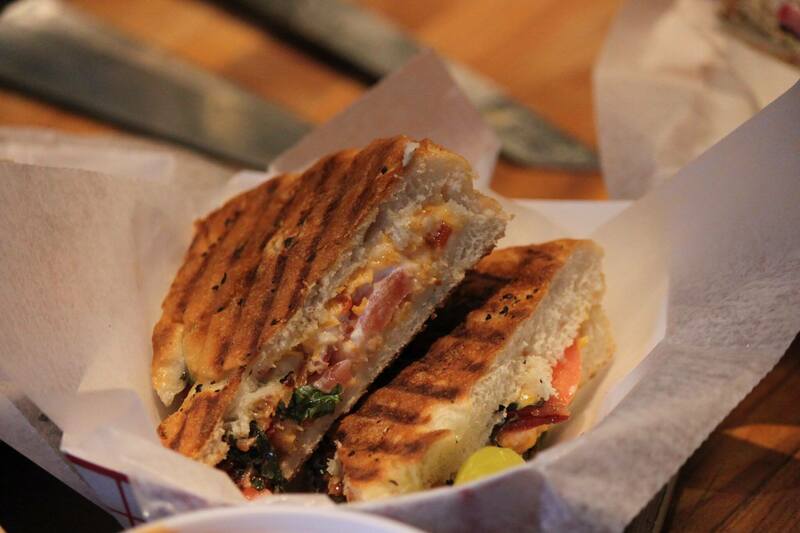 Basil’s specializes in paninis made on homemade focaccia bread that is baked in house daily. Smelling the fresh bread baking as we toured Fondren was some kind of torture! Locals love the vegetarian paninis as well as the chocolate chip cookies. Also look for original creations such as the Elvis panini with peanut butter, bananas and roasted peanuts or the pimento cheese BLT with fresh basil. If you’re not in the mood for a sandwich Basil’s has a full salad menu as well. You guys know I rarely include chain restaurants in my posts but seeing as how this is a local chain founded in Fondren, I thought I would include it. 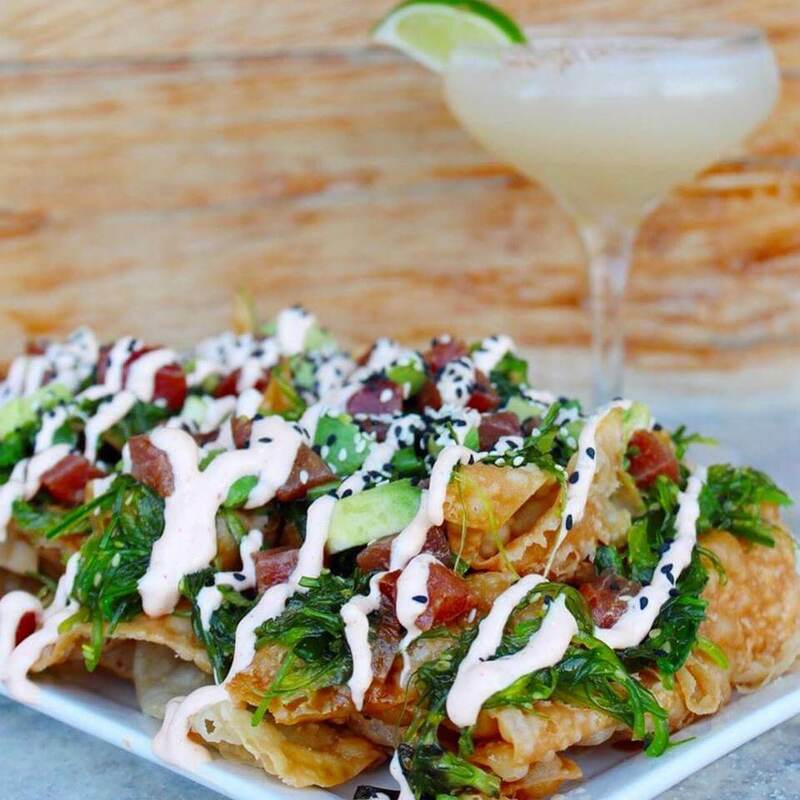 Babalu specializes in inventive Southern-influenced tacos and tapas. 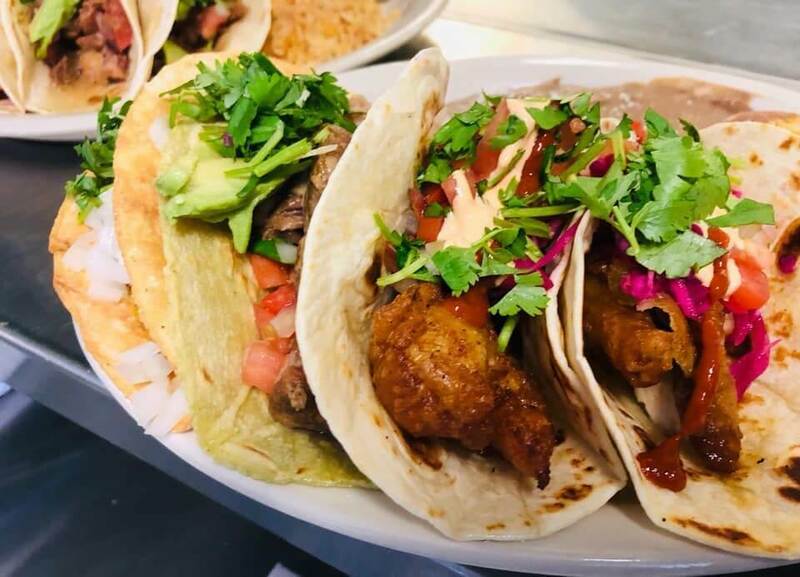 The taco menu includes choices such as crispy pork belly tacos with a citrus BBQ sauce, grilled Gulf shrimp with locally famous comeback sauce and roasted chicken with a lime aioli sauce. On the tapas menu you’ll find queso grits, pan seared crab cakes, skillet shrimp, and Mexican street corn. They also have a menu of soups, salads sandwiches and burgers if you’re not in a taco/tapas kind of mood. 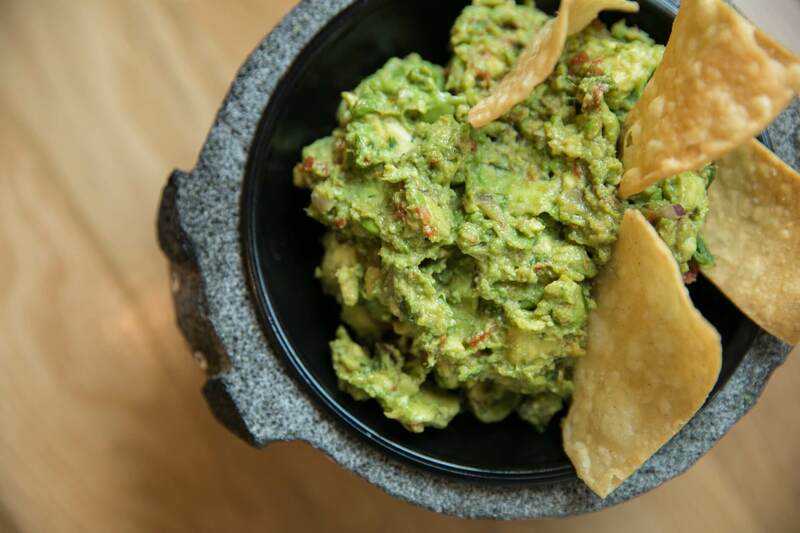 Be sure to check out their award winning guacamole when you stop in! 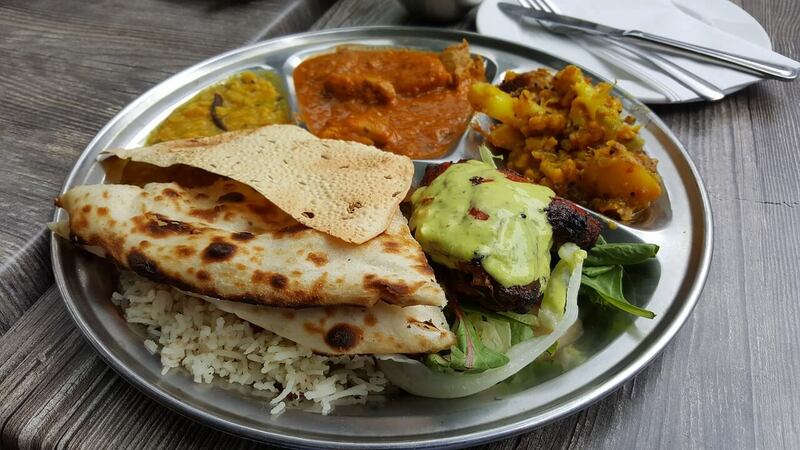 We were told several times that Spice Avenue is serving up the best Indian food in town. Locals rave about their famous butter chicken and lamb curry. You can also find all your favorite Indian dishes and also a few you may not have had before- such as fish or goat curry. You can also find a full tandoori menu. Spice Avenue is the perfect place to eat in Jackson for vegetarians- they have 14 vegetarian menu items and are happy to accommodate specialty orders. Look for their daily buffet lunch or come in later for the a la carte dinner menu. 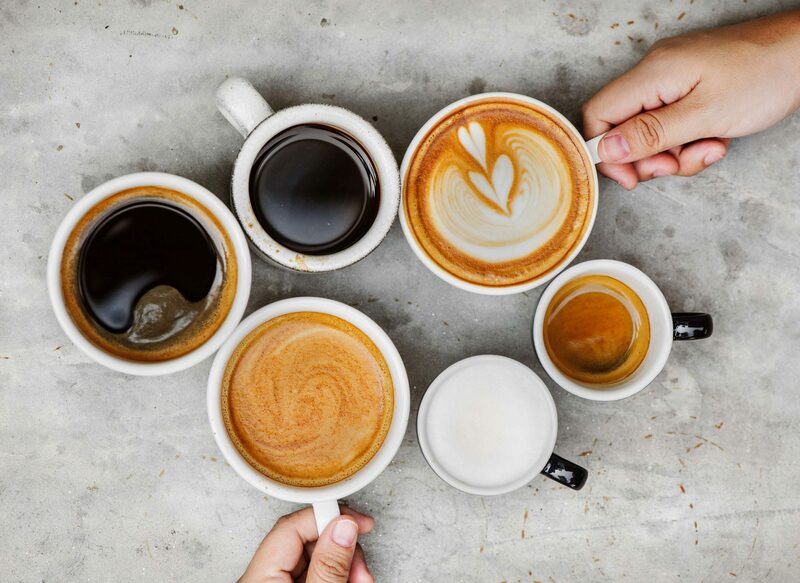 Which Jackson restaurant serves the best coffee? Not being a coffee drinker myself I polled a bunch of locals and there seems to be a bit of a (friendly?) debate in Jackson about who sells the best cup of the bitter brew. I’ll include both local favorites and if you get a chance to try them, I hope you’ll let me know which one you prefer. Sneaky Beans is a beloved local hangout located in a converted old house where you can chill with a book or work away at your laptop. In addition to a great cup of coffee they also have a great selection of beers and sodas if you’ve hit your caffeine limit for the day. Check out the dirty chai or monkey mocha if you want to try something other than your usual order. Cups coffee beans are globally sourced, Mississippi roasted as the company likes to point out. They currently have 11 locations across the state and put special emphasis on being a part of the community. One of the ways they do this by displaying the works of local artists at no commission and by giving to local charities and community events. 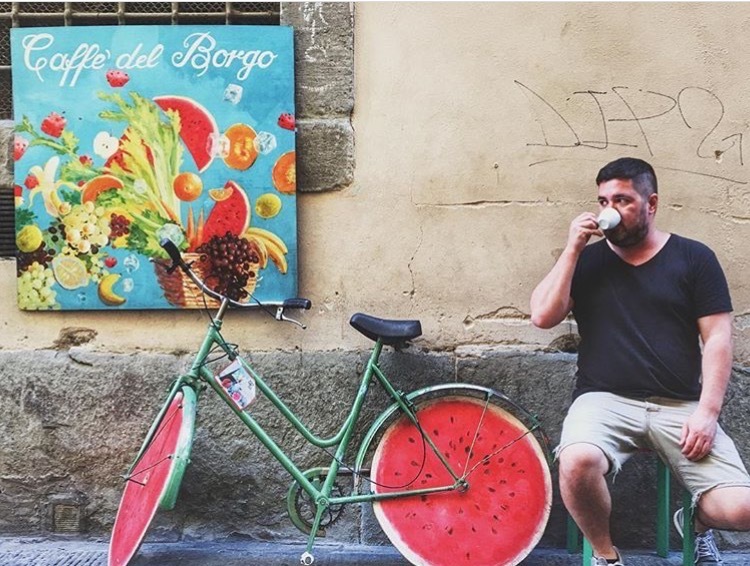 On top of the community involvement, you can find an impressive coffee menu featuring modern traditional espressos and Cups originals. For the non-coffee drinkers in your group there are also teas, smoothies, sodas and hot chocolate. Ok, now that you’re all sorted for dinner, where to go for drinks afterwards? Or maybe you’re looking for a place to meet friends for a drink after work or before dinner. The Library Lounge is located inside the Fairview Inn and is a cozy spot to enjoy a quite cocktail or glass of wine with your friends. One local even told me they didn’t know if I should write about the Library Lounge, as they were happy with it being a “locals in the know spot”. Here you can find craft cocktails along with your favorite classic drinks. The lounge also offers a full lunch menu and in the evening you can order small plates of food to accompany your drinks. 4th Avenue is the newest “see and be seen” spot in Jackson. Part nightclub/part restaurant this is a great spot for a night out with friends. Start the night off with something from the menu- I might suggest the cheese plate or chicken and waffles and then order some drinks and dance the night away with friends. Look for daily food and drink specials from 4-7 and on weekends you’ll definitely want to make a reservation- we saw people getting turned away at the door. Hidden in the back of Brent’s Drugs and featuring award winning cocktails is Jackson’s very own speakeasy. Tell the server what some of your favorite flavor profiles are and they are happy to suggest a cocktail for you. You can also find a food menu for small plates to accompany your drinks- we enjoyed the hummus with homemade bread. Frank Jones’ Corner has live music every Thur, Fri Sat from midnight to 4am. The smoky jazz club is where locals go to finish their nights out on weekends. You can find hand mixed drinks and shots as well as food items such as burgers, chicken biscuits and a catfish basket. Which of these Jackson, MS restaurants do you most want to try? Let me know in the comments section! If you enjoyed this post please consider pinning it using the image found below! Disclaimer: I would like to thank Visit Jackson for hosting me for some of the meals mentioned above. All opinions remain my own, as always. I was able to try most of the restaurants listed above but any that I did not get to try personally are recommendations from local foodie friends. These make for a great excuse to spend some time in Jackson MS! I stayed in Oxford MS for a month and now I’m wishing I took a trip to Jackson too! I’m so hungry now LOL!